Any shape, size, height, gender and color, within the rep requirements - you are welcomed to apply. Do you love to be in front of the camera lens? Are you a Denver area high school junior? Do you have a strong social media presence or enjoy being social within your community and circle of friends? 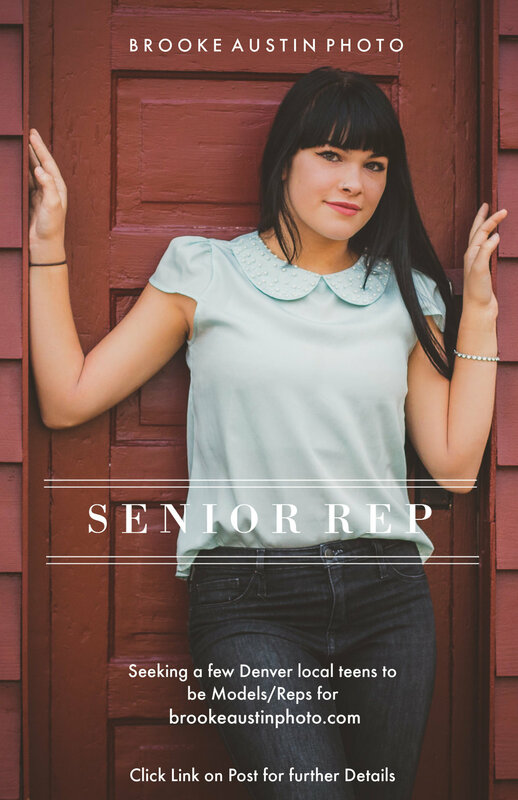 I’d love to see if you might be a fit to become a High School Senior Pics Brand Rep/Photo Model for Brooke Austin Photo. I am seeking a limited, exclusive, select few teens to rep my photo business! Earn Cash for referrals. Discounted Senior Portrait Sessions for all your friends! Affordable, Modern, Fun! Click HERE for all the details! Let’s shoot! Thank you.